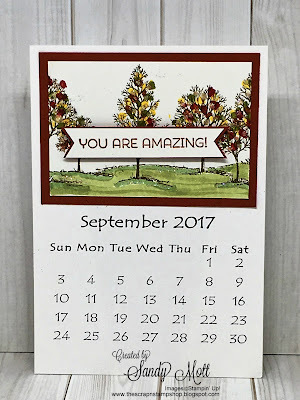 Welcome to the Creative Inking November Blog Hop! 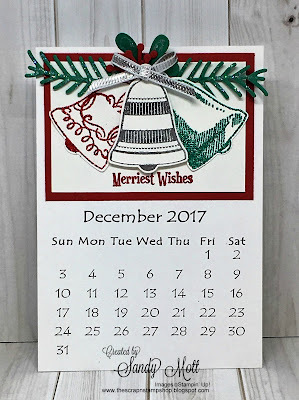 This month's theme is "Handmade Holidays" and there's a lot of handmade everything going on at my house. With Thanksgiving approaching, my Christmas countdown is getting closer and closer. 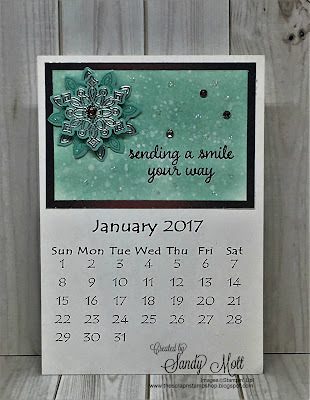 I thought I had better start on calendars for 2017, especially since my dear friend Sue moved to Idaho. Sue was our Calendar Girl and now we're left to make up our own (sigh, sniff). 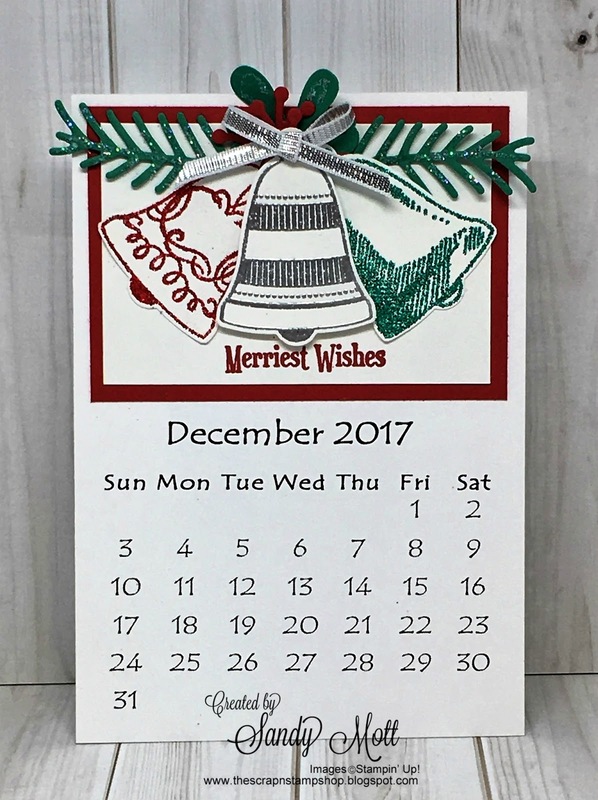 I love giving calendars for Christmas presents. 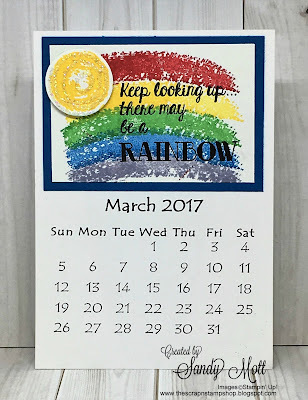 Everyone needs a calendar, right? I also wanted to make this calendar more personal and friendly - with positive messages for the recipient. There's a LOT of pictures in this post. I'm starting with the box I made to put them in, then I'll show each calendar sheet month by month. Oh, by the way, making a box to your own specific measurements is so easy! I will be sharing that formula with my Creative Circle Design Team post on December 5 (hint, hint), so be sure to check back then! 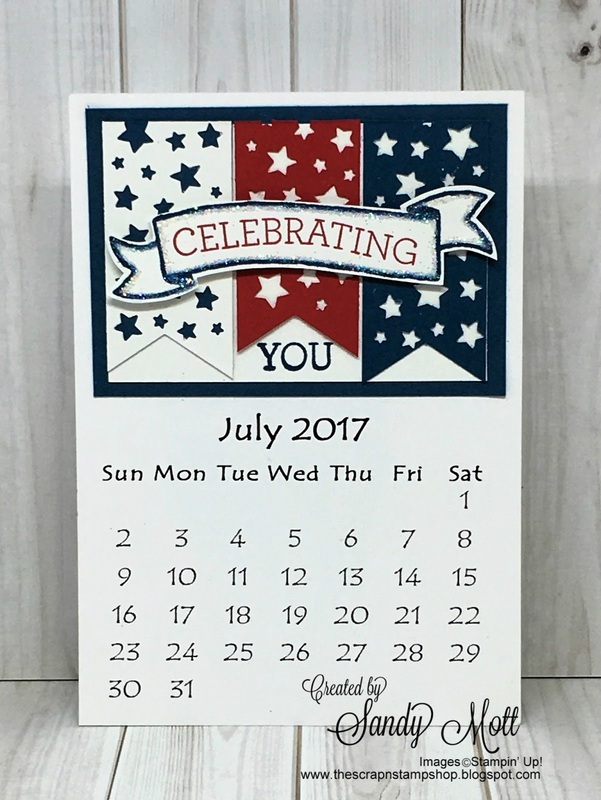 To put the pictures in perspective, each of the calendar month sheets measures 3 1/2" x 5". I used the gorgeous Petals & Paisleys Specialty Designer Series Paper to decorate the box. 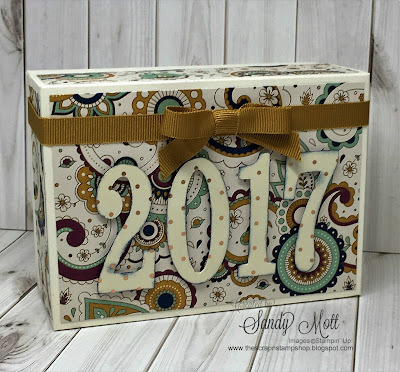 The box base is made from Very Vanilla cardstock. I sponged the 2017 with Night of Navy in hopes it would stand out more. The ribbon is the 3/8" Delightful Dijon which comes in trio pack along with Mint Macaron and Rich Razzleberry. I wrapped and glued the ribbon to the top of the box only so it could be lifted open without untying the bow. 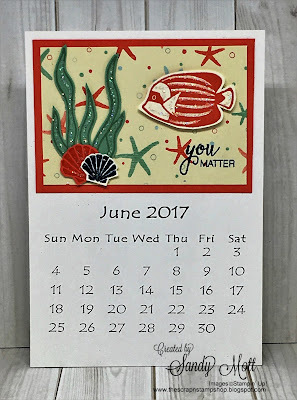 I used numerous stamp sets and Designer Series Paper to make each month sheet. There are too many to mention, so if you have a specific question, please contact me and I'll be happy to respond. 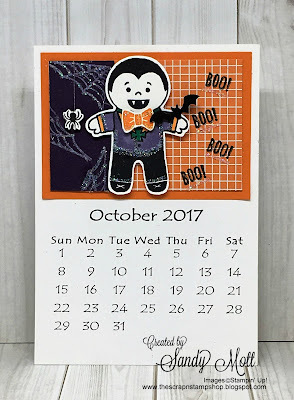 All items are from the current and Holiday Stampin' Up! 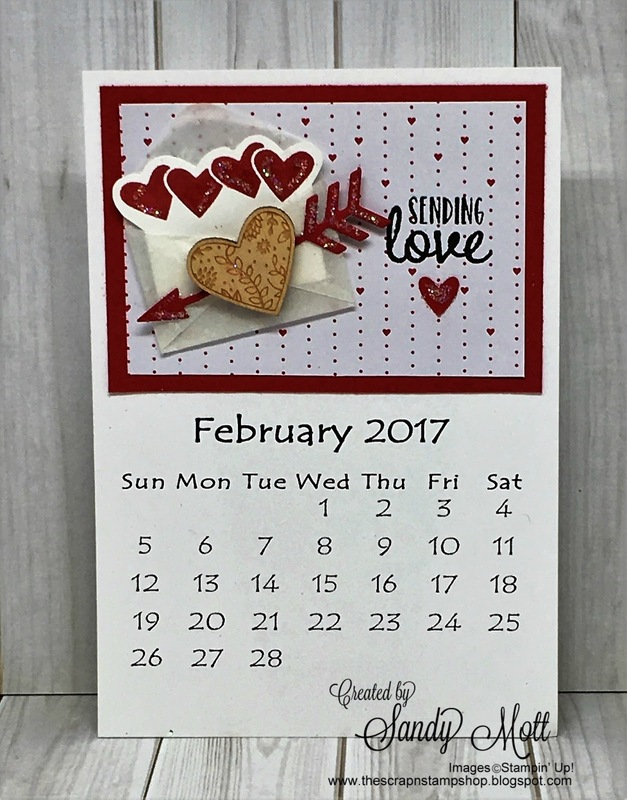 Catalogs, except for February. 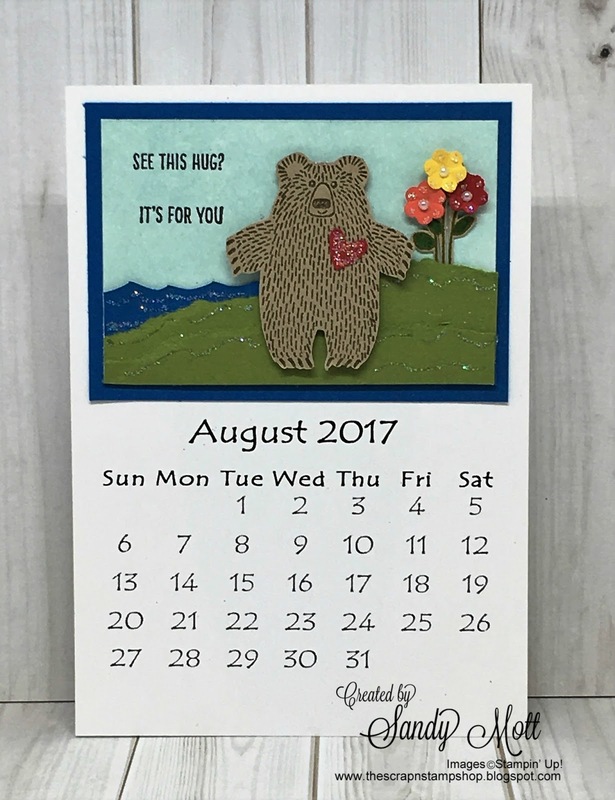 I just had to use the most adorable set ever as a sneek peak for the upcoming Occasions Catalog. Whew! 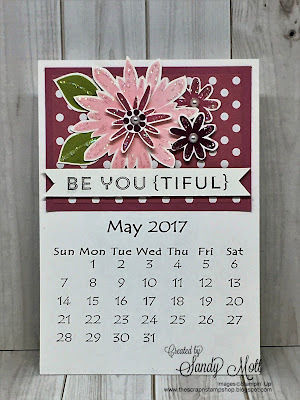 I started this calendar yesterday and it was a race to the finish. I sure hope you enjoyed seeing it - I would love to hear from you. Now let's go see what the talented Lori Mueller has for us this month. Just hit the "Next" button below to see her fabulous creation. 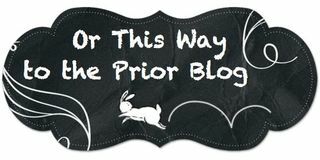 To get back to my friend Lynn Streifert's creation, just his the "Prior" button below. DON'T FORGET TO SHOP THE ONLINE EXTRAVAGANZA WHICH STARTS TOMORROW, NOVEMBER 21. 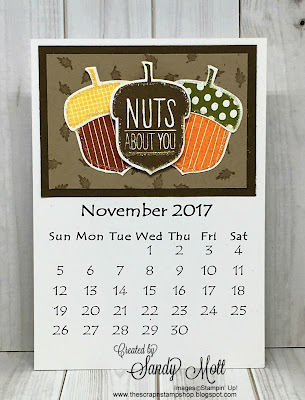 Shop in my online store and use the November Hostess code: SPP97VVZ to earn Stampin' Up! rewards and my Customer Rewards. 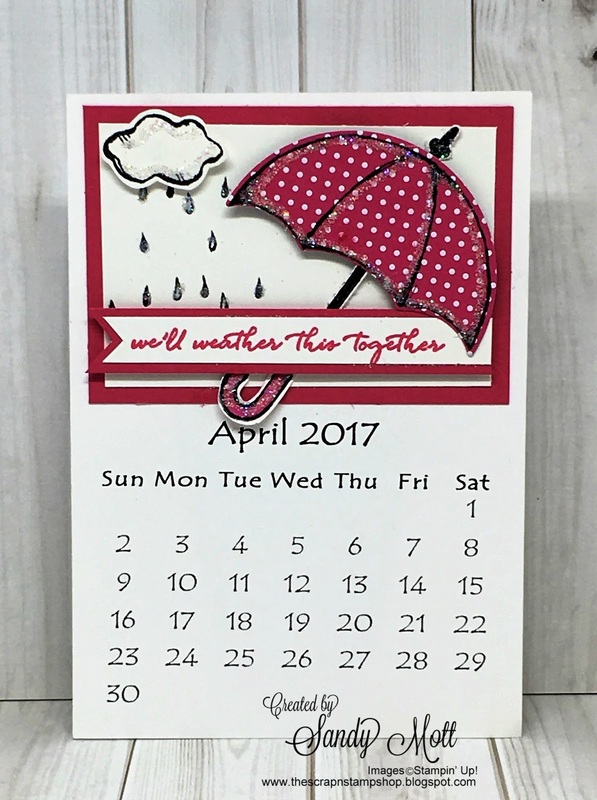 Oh Sandy- I just love your calendars!! How sweet, did you make the template yourself? I am in awe, just love each one! TFS! Thank you Lynn! I did not make the template - they were purchased. My dear friend bought them. I'll ask her where she got them and let you know. 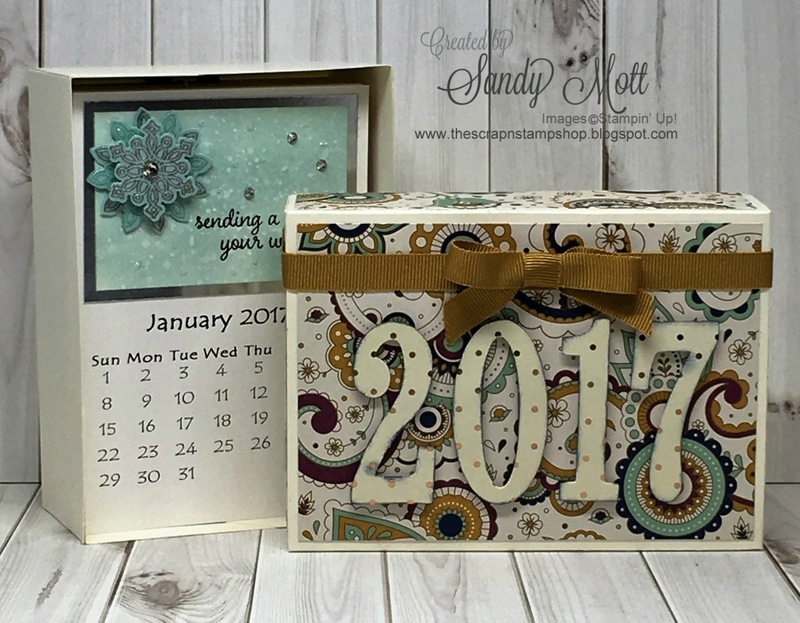 Amazing gift box with an even more amazing calendar pages! Thank you so much! Very fun project to work on! 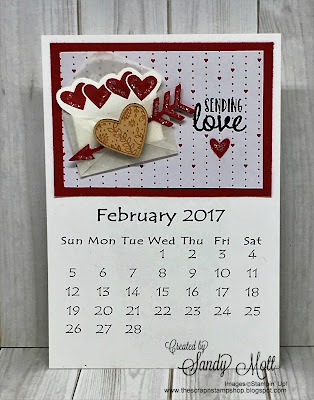 LOVE, LOVE, LOVE your calendar!!! Awesome gift idea. 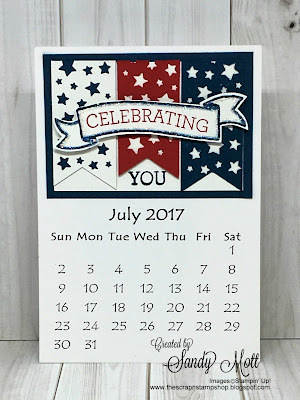 Did you create the calendar template or buy them? Thank you! 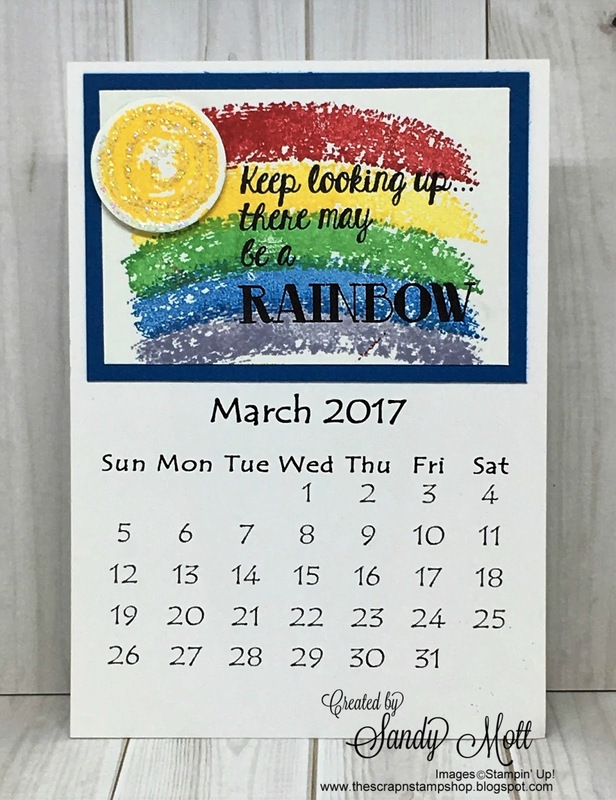 The calendar template was purchased by my friend, but stay tuned - I'll include in my next post where you can get them. AMAZING!!!!! You are sooooo talented. Love every month. Thanks my friend! Hope to see you in a few weeks. Sandy-this is a work of art! Just beautiful! Oh. Em. GEEEE! Amazing project! I can't wait to try this one myself. Wow--you created this in one day!!! Great project! 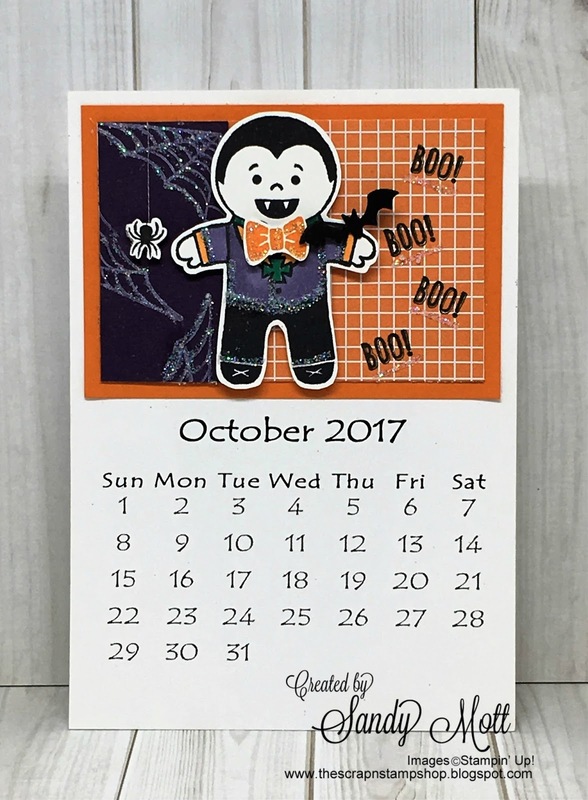 Love the calendar pages. Thanks Lisa! Yes, one day and ALL day. In fact, I finished the post about 10 minutes before we were to go live. But I probably won't ever do that again! Lol! All I can say is WOW! 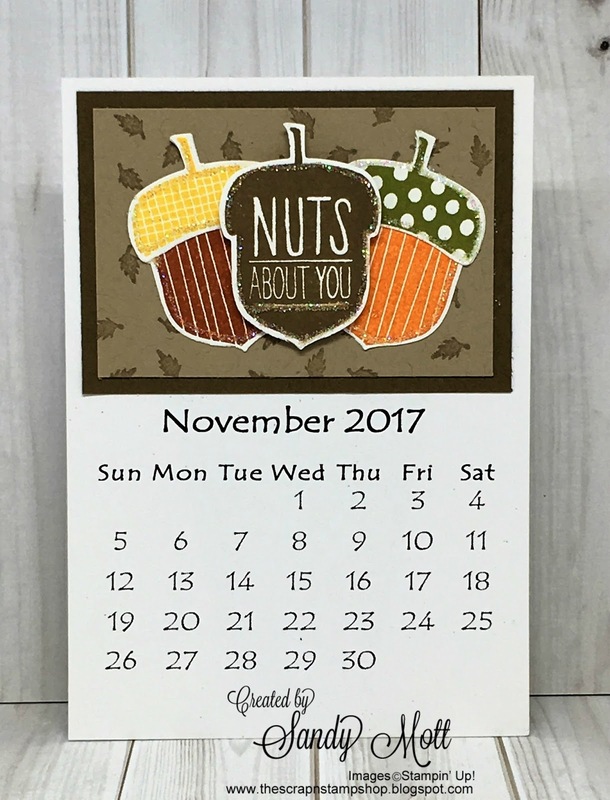 From the box to the individual calendars, your work knocked my socks off. A lot of love and creativity went into that package. Happy Thanksgiving. Thank you so much Karen! I had so much fun creating it! Oh my goodness - this is amazing! Wow! What a work of art! Wow!!! What else can I say. LOVE every single calendar page!!! Lots of love went into that! Thank you so much Cheryl! I love working on projects like this! Great idea! 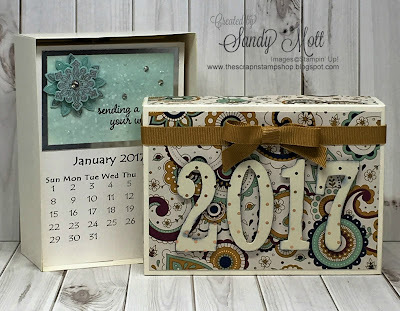 I love the box and the calendar. Both are hat a great way to start off the new year? I'm going to try this tonight! Wish me luck! Thanks Gloria! I wish you the best of luck and would love to see it! 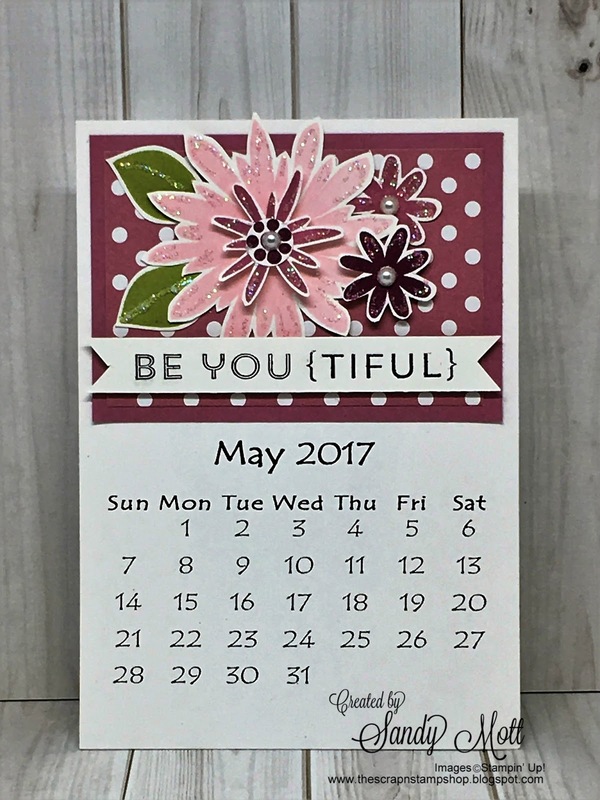 I'm going to personalize the calendar more for my friends, but love what you did also! Thank you so much for sharing! 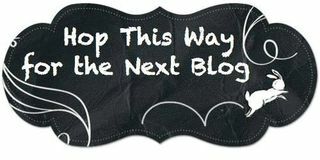 I'm subscribing to your blog to make sure I get the directions for that box. That's awesome Gloria! It should actually post on the blog on Friday, December 2. 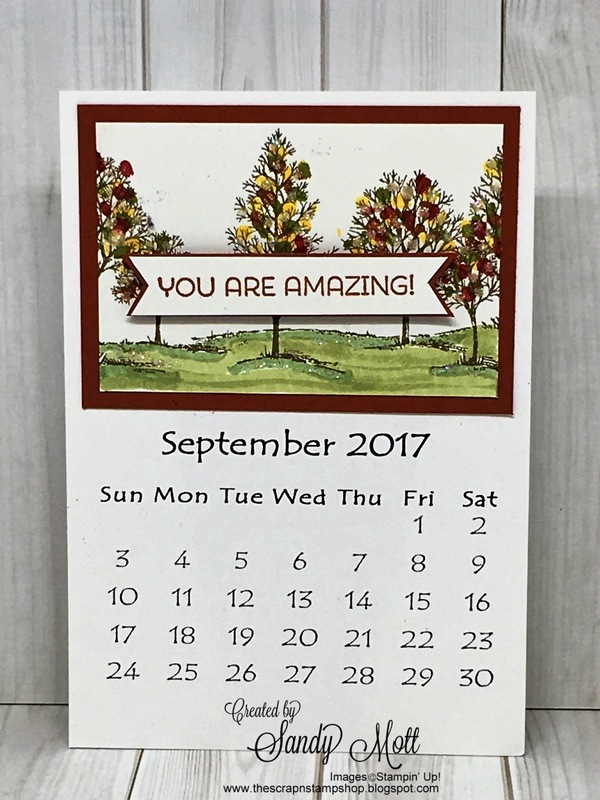 Love your calendar! where can I find a template for the calendar pages? Thank you Susan! 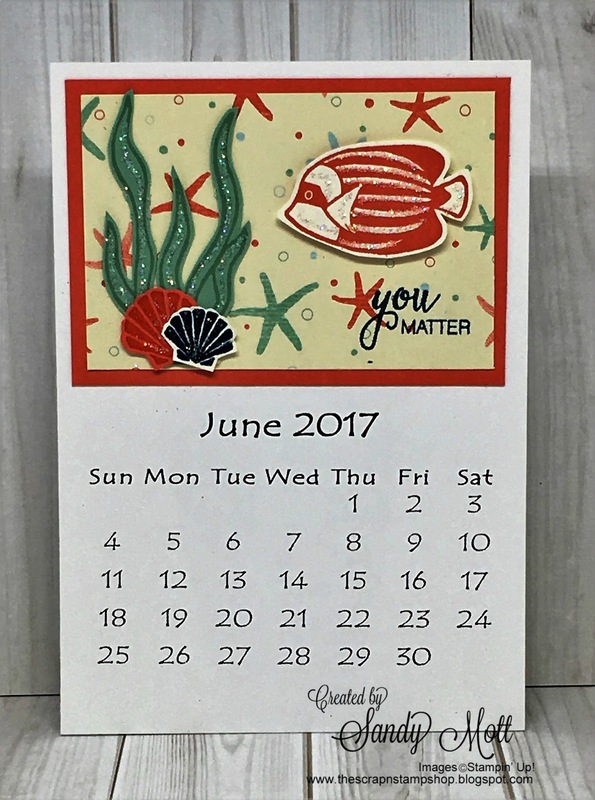 My friend purchased the calendars from EBay (seller's name is Painter410). They are 3 1/2" x 5". Let me know if you have trouble finding them.